Get started with Mobile ERP. No large investment required. Let’s disrupt our industry by doing what no one else is doing! Mobile ERP is one way to enable a complete shift in the way you do business. Creating that brand new experience will take investment and creativity, starting with a serious business process re-engineering evaluation. Upgrading the entire way your company operates will take time, and requires the full commitment of ownership, management and ERP users. Also, be prepared to make an investment relative to the expected value you hope to generate. Meanwhile, there are some small things you can do to impact your culture immediately, and prepare the path for a greater mobile ERP transformation ahead. Begin with some mobile basics. Is your goal is to equip users with access to customer inquiries, inventory inquiries, business intelligence (BI), key performance indicators (KPIs), graphs, reports, and alerts? If so, you may be well served by straight off-the-app-store solutions; download, add login and password, and use. Most major software publishers are regularly making simple and straightforward productivity enhancer apps available on a regular basis. For example, when you hire a new salesperson, with a mobile customer app, they can be up and running and bringing in new revenue in no time. Simply issue them a smart phone, and once they download an app, they have instant access to all of the customers in their territory, complete with contact information, sales history, and so on. By comparison, upon hire, one without a mobile sales app may need to accurately enter each and every one of those contacts and companies into their an address book that links between their phone and a computer-based contact app. This is not only time consuming, but allows for human error. Getting started with mobile ERP, one app at a time, will put your company on track to building a more confident, better informed workforce. Your new employees will more quickly acclimate to their job responsibilities and become integral parts of the team in no time. The ease of use and access to information afforded with a mobile ERP inevitably energizes employees, and spark positive changes in your culture. This can help set the stage for your grander vision of system-wide mobile integration. 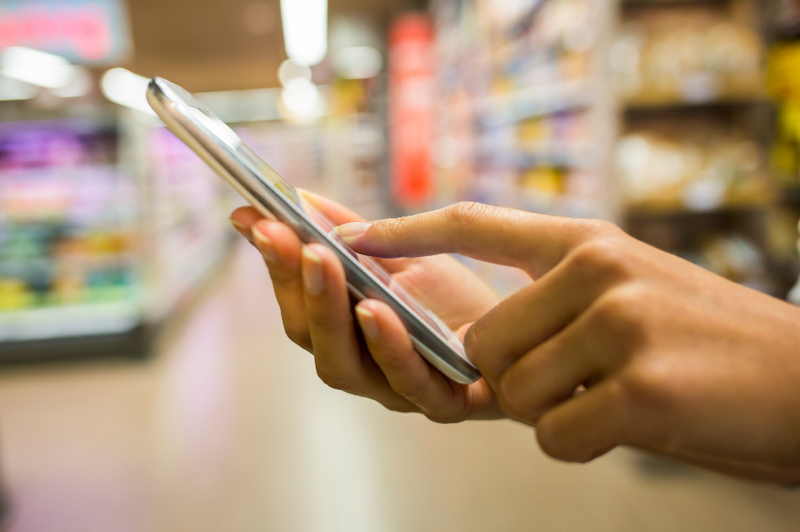 When you are ready to transform your business with mobile ERP, a packaged app may not suffice. To learn more about how xkzero can help you develop a mobile ERP strategy to fit your business business, please contact us at info@xkzero.com or 847-416-2009. Your ERP system is a beast. A snarling, sometimes messy collection of data held together by software applications and databases, its job is to house, catalog and categorize—then only later shout, whisper and echo back everything that happens in your business. This powerful creature needs to handle processing demands, be a reliable repository, have the organizational prowess to classify information, and communicate about this data. Impressive, right? Yes, except for the minor fact that your enterprise resource planning (ERP) system doesn’t quite tell you everything. Even the finest implemented ERP systems come up short because they simply don’t possess all of the knowledge you need. 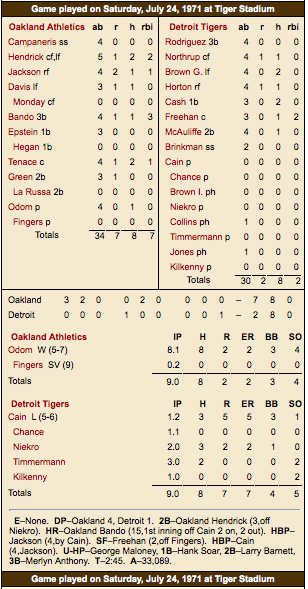 The box score from the first Major League Baseball game I ever witnessed. Courtesy Baseball Almanac. We can liken it to a Major League Baseball game box score. It sort of tells the fan what happened during the game, and does so honestly. It just leaves out key details. While a traditional box score will accurately present the total number of hits a player had throughout the game, it reveals very little about the situation–the other forces at work while on the field. Too much of the context of the game is missing. To analyze the player’s performance, we need to know what happened, and when. What were the conditions? Sure the box score can tell me that my leadoff hitter had 2 hits in 4 at-bats, but it doesn’t say that he collected both hits after the game was out of reach. Seriously—how can we smartly boast about our favorite player’s talent without an arsenal of factors that made their plays impressive? And to talk convincing smack, we need to present proper evidence that our buddy’s guy “ain’t all that.” Otherwise, it becomes an empty, witless battle. The same goes for your ERP system. It possesses much of the data we need for strategic planning. We just want more of it. We like the reports, dashboards and lookups, but the ERP could tell us so much more. Think of all the missing context that could be captured with your ERP. The play-by-play detail of our business story will help us properly identify factors contributing to our success as well as alert us to the adjustments we should consider. My hometown baseball broadcaster with the Chicago White Sox, Ken “Hawk” Harrelson likes to say, “Don’t tell me what you hit. Tell me when you hit it.” Exactly. My 12-year-old son, Owen, follows White Sox games from his iPhone. His experience is a world apart from mine at his age. For starters, he can look at a live box score as the game is being played. As a kid, I had to wait to read stats in the next morning’s newspaper. Now, a tap of a finger gives Owen complete play-by-play details, including data not formerly available, like how far the home run ball traveled, how fast a strikeout pitch was thrown, and defensive positioning. The smart phone-enabled box score (game cast) now includes features such as social media links to communicate with other fans, access to photos and replay videos. In every respect, the game cast completely trumps the old school box score in newsprint. Mobile technology is real-time, interactive, and can tell a more complete story than ever before. Look at last week’s sales report, yesterday’s receiving numbers, or last month’s financials. When you think of all the missing info, it now kind of looks like an old box score, right? The opportunity to add new context—and value—to your ERP system is mind blowing. Despite the phenomenal technology that we all carry in our pockets, the movement to adapt ERP systems to mobile devices has been somewhat slow. One reason is the new technology is not yet understood enough. In other cases, businesses are simply not sure where to start. We can learn from the early 1990s, when Business Process Re-engineering was all the rage. Business Process Re-engineering (BPR) was hugely popular in the 1990s. It was an important and valuable form of business consulting primarily because of the rapid and pervasive spread of PC-based accounting and ERP software systems. 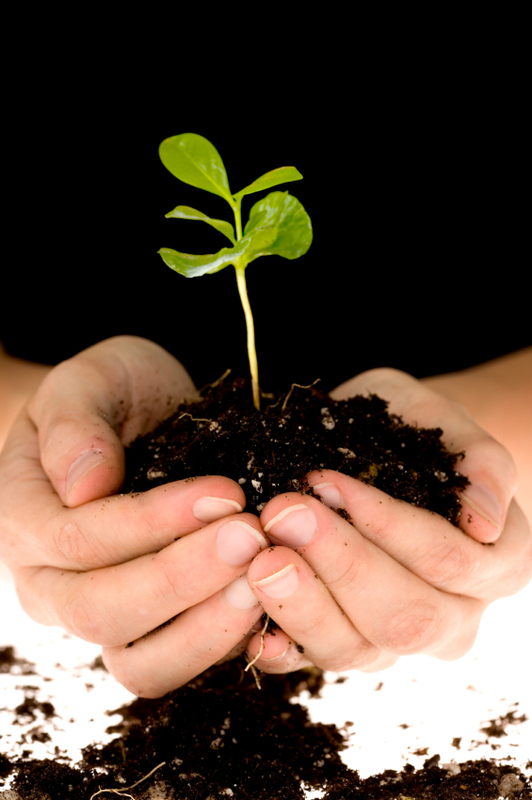 Companies who invested in BPR benefited the most from their new systems. It required companies to document every step of their job tasks. Using the context of new business tools available, it mapped out expected new behaviors, processes and benefits available, thanks to the the latest technology. Business people who understand ERP, are comfortable using mobile devices, and who have an eye for creating new value are potentially qualified to at least begin re-defining business processes to capitalize on this transformative technology. This needs to be done first—from sales, to warehouse, manufacturing, purchasing, accounting, customer service and all areas throughout the organization. The question becomes, how do we identify which processes, and it which ways, we can add new value to our business by incorporating the very unique qualities of our mobile devices; qualities such as camera and video, push notifications and alerts, geo-awareness, calendar, email, phone and other direct app integrations. Mobile ERP presents the opportunity to bring all new context to your legacy systems. Once the market discovers the value of mobilizing ERP systems, and how to tap into it, we will see a new era marked by better informed, more responsive, more confident, better-connected, working people. Business Process Re-engineering can provide the creative energy and the structured framework to define a new reality. No matter if your small or mid-sized company is a manufacturer, distributor, or focuses on service, to create a mobile strategy, where do you start? Before you get to that point, it’s important to determine whether investing in a mobile sales app is right for you. Here are some questions that can help you decide if your company should take that step and move to a mobile-enabled ERP. 1. Which software and other information sources does your sales team already use? Is your business using traditional sales tools such as CRM systems, price catalogues, white papers, technical spec documents, ERP/order entry and quoting systems, and proposal templates? If so, take a hard look at how responsive these tools are to customers’ demands. If your salesperson or customer service rep can only access needed information sources while seated at a desk, or if the alternative is to lug around multiple devices, then your company may not be as effectively responsive. 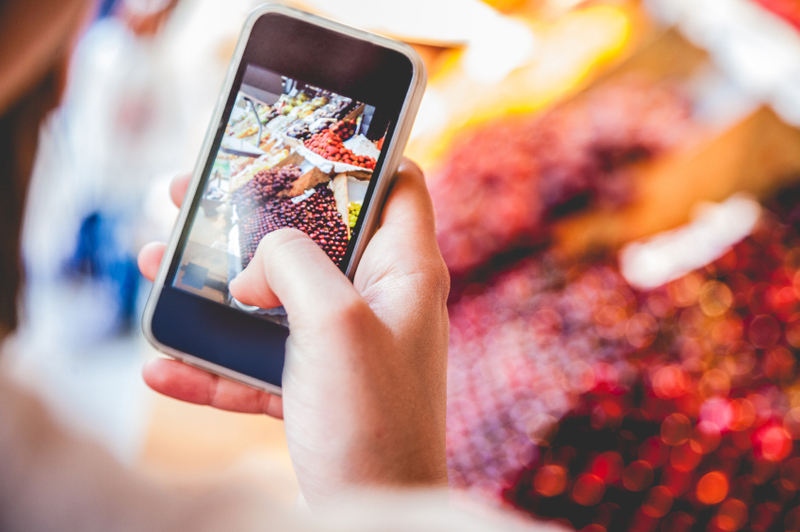 Consider the data and images your salesperson needs. In this fast-paced competitive world, do you want to be the ones saying you’ll get back to a customer later? No way! Your sales team needs to quickly provide current pricing, product photos, video demos, or other descriptors, and rapid quotes. Take a good inventory of your current systems and processes. Have your top sales people explain how they use each tool. Consider doing mock presentations and play the role of customer to assess potential frustration levels with information availability. This analysis will go a long way toward determining the current viability of your sales process. 2. Which software tools are used by your industry’s best-in-class companies? “Know that if you are not doing it, someone in your industry is.” This was the conclusion drawn in a study by Deloitte called, “The Dawn of Mobile Influence.” They also determined that m-commerce (mobile commerce) will grow by 250% through 2016, a rate 6 times the expected growth rate of e-commerce. Will your company be left behind? 3. Would you freak out if you learned when top competitors conduct sales meetings with their prospects and customers, they provide quotes and close new business–on the spot? In time, the fastest, best processes will cannibalize old methods, as well they should. 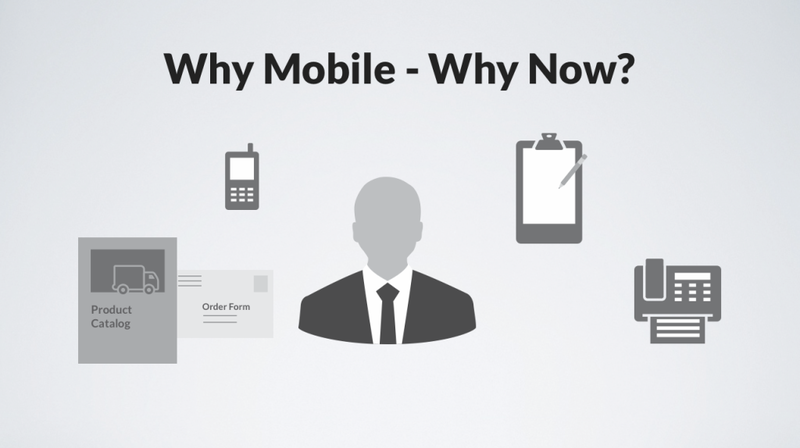 Mobile capabilities give prospects or customers reason to gain confidence, as they receive speedy, accurate responses. Also, from a behind-the-scenes perspective, manual methods of doing business are time consuming, and require unnecessary personnel costs. Save your HR budget for more meaningful tasks and free up the hours employees devote to data entry. This begs the question: Will you be a forerunner or can you afford to wait? 4. 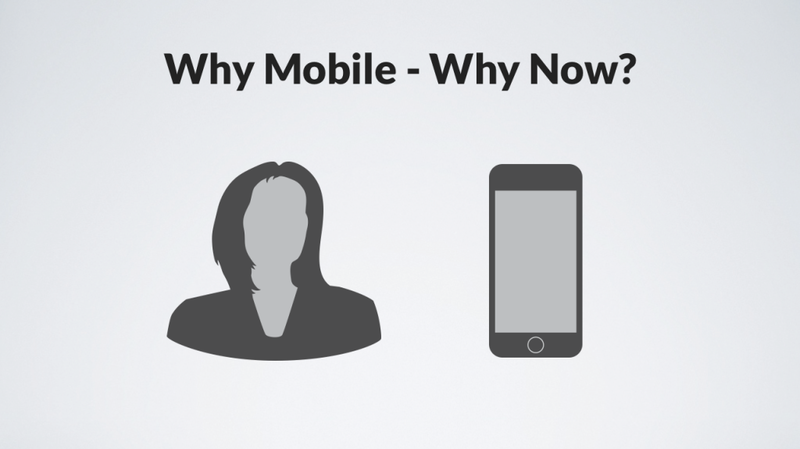 What is the value of mobility for your sales reps? Does your sales team count on tools only available at the office to serve the customer or prospect? In this mobile world of quick information retrieval options, businesses can’t afford to rely on desktops and other office-based peripherals. People have come to expect answers in real-time, and from any location. Also, the workforce culture has changed, with more employees working from home, often to accommodate a work-life balance. The line between business and personal time can also be difficult to differentiate, as we may even cultivate our most meaningful connections on the soccer field sidelines or the train platform. In a world where business can be conducted on the fly, and opportunities arise when least expected, is having your sales and customer service reps tethered to a two foot long landline telephone cord going to cut it for you? 5. Do you pretty much have either a smart phone or tablet with you all the time? Consider going for 12 hours without a phone or tablet. (Breathe!! This is hypothetical!) In this scenario, you are not spending the day in waders, fly fishing with your buddies in a beautiful brook, or lying supine under the Tahitian sun with the sand under your bare feet, with a cold drink while catching up on fiction. (Re-focus!) Bring your mind back to a regular workday. How many ways do you rely on your phone or tablet throughout the course of a day? If you think it’s just frivolous, keep a mobile journal on a weekday. 6:00 a.m. Woke up to phone alarm. Checked work e-mail with Mail app. Calendar alert reminded of meeting at office. Grabbed documents. Turned on radio app and listened to news while making breakfast. Over cereal, checked Facebook. Exchanged texts with a loved one. Checked bank account with app, and paid a bill. Used transit tracker to check for any travel delays. On train, used blog app to edit article. Using music app and headphones, listened to uplifting song. Checked notes app to verify new office entry code. 8:30, sat at desk. Switched to laptop. 6. Can you imagine business shifting away from the smart phone and tablet technology? In other words, do you think it’s a fad? If it works, why fix it? Smart phones and tablets are only getting more powerful, with added features, apps, and options for interaction. Even the youngest humans among us are rocking the iPads long before entering kindergarten, with educational games and art making apps. Would it make sense to take this away when mobile technology is becoming imbedded into our culture from an early age? When mobile apps can connect more people, more quickly, and allow businesses to close deals from remote locations, would the smart people who develop the devices and apps simply bail because it’s “too trendy?” Businesses that decide not to hop on board will soon wish they didn’t think they were too cool to join the bandwagon train, as they watch the string of cars roll down the tracks and disappear into the horizon. At xkzero we’re passionate about mobile technology and making it work in your ERP system environment. If you would like to talk with us about creating a whole new mobile reality for your business we would love to hear from you. You can reach us at info@xkzero.com or 847-416-2009. Infinite Peripherals provides mobile point of sale (POS) devices to 30% of the top 20 U.S. retailers. As the premier manufacturer of mobile scanning, printing and payment swipe devices for Apple, Infinite Peripherals once had slow, paper-based manual warehouse processes that didn’t integrate with their Sage 100 ERP. As the products began to proliferate in the marketplace, the management team knew that to keep up with the continued demand, they needed better solutions. Here is the story of why the company decided to hire xkzero to create customized software to meet the challenge, and also add some of its existing iOS apps into the mix. 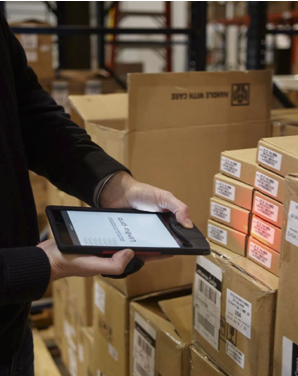 In the article below, “Streamlining Warehouse Operations with Mobile Devices,” originally published in July 2014 on the web site The BarCode News, Infinite Peripherals President Andy Graham writes about the partnership’s positive impact on operations. Please note the bold, italicized text interspersed throughout the story below, and the introductory paragraph above was not included in the original article. It represents commentary by xkzero team members, and does not necessarily reflect the opinions of Infinite Peripherals. Infinite Peripherals runs Sage 100 ERP to manage the wholesale distribution part of its business from end-to-end. xkzero fully automates the Pick, Pack and Ship processes for Infinite Peripherals, and also completes small parcel shipping by passing along the shipment information, including dimensions and weights, to Starship by V-Technologies. From start to deployment, it took xkzero approximately seven months to build the software infrastructure to communicate with the iOS device; and once the framework was set, the implementation process only lasted about two months. Infinite Peripherals Sage 100 ERP system users don’t waste unnecessary time navigating menus or failing to find what they are looking for fast enough because they use GetX-Universal Search for Sage 100 ERP by xkzero. Infinite Peripherals equips their sales reps with iSales 100, the native sales app xkzero built exclusively for Sage 100 ERP. When IPC’s sales team members meet with major retailer customers, they now have easy access to the answers to all the important questions about information housed in their ERP. And they are ready to take an order or leave a quote any time, anywhere. Article written by Andrew Graham, President & Co-Founder, Infinite Peripherals, Inc.
Graham, Andrew. “Streamlining Warehouse Operations with Mobile Devices.” BarCode.com The BarCode News, Web. July 2014. According to the Grocery Manufacturers Association (GMA), Direct Store Delivery (DSD) accounts for 24% of all grocery sales–and 52% of store profits. We think this represents a tremendous opportunity for independent food and beverage producers and distributors. Before investing in Direct Store Delivery technology, though, it’s important to understand the essentials of this approach to wholesale distribution. of this method of goods distribution. DSD is the process of getting goods into retail stores by delivery reps that regularly fill shelves with their products, take payments, and manage merchandising. This differs from the system in which a manager must place orders a week or two before delivery, requiring blind anticipation of product needs that may change. Once the shipment arrives, the store employees are responsible for refreshing and rotating the stock as well as setting up displays and making sure the items are neatly faced. Suppliers who use DSD have more efficient way to get products into stores quickly, though, so they can keep shelves filled with the products that customers demand, which can change with little notice. Regularly visiting stores also gives delivery reps the opportunity to change promotional offerings to meet these fluctuating needs. Another benefit to being on site is the ability to control the appearance of cases and refrigerators to make sure their displays are visually appealing. What does a DSD system require? A supplier that uses DSD may also have a production center, but not always. They all have a distribution center and trucks, and must have a transportation planning system to determine the best routes, manage driver schedules and dispatch them to the proper locations. They will need to be prepared to adapt to dynamic plans that can change daily or even seasonally, such as an ice cream supplier, which will have increased delivery stops in the summer months. Of course having a fleet of trucks also requires having maintenance and safety guidelines in place such as pre-trip inspections and routine check-ins. To learn more about how xkzero can help drive sales and profits for your distribution business, please contact us at info@xkzero.com or 847-416-2009. DSD is good for the customer, too. Keep the retail customer happy. 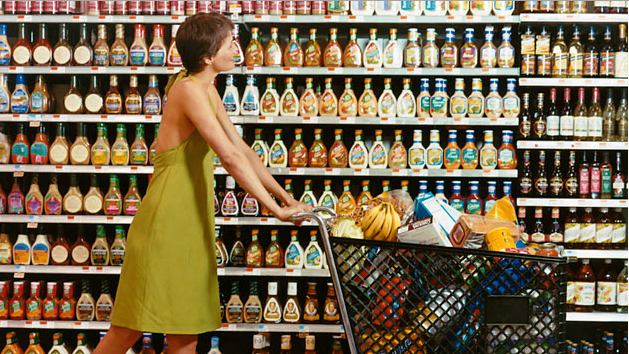 As a grocery shopper, how does Direct Store Delivery affect you? First, consider what customers want from a store. Most importantly, we want the products we need to be in stock—and consumables need to be fresh. To feel compelled to return, the experience itself must be pleasant, starting with a clean facility with a well-organized layout that makes sense to us, so we can easily find these items. On the contrary, sloppily shelved boxes or cans might get overlooked and leave you frustrated while searching for a particular brand or flavor. You can check items off your list more quickly when a store strategically places products with logical companions, such as putting jars of salsa lined in front of the tortilla chips. Also, you might learn about new products to mix up your tired dinner menus if an attractive informational display or promotional signage catches your eye. Turnaround Time: Since DSD is a streamlined approach, eliminating many time consuming tasks involved with order processing, picking, packing, shipping, receipt, and shelving, reps are able to bring product to the stores and refill stock as needed, often fulfilling same day requests. When consumers unexpectedly increase demand for a product, DSD allows stores to give them what they need. An overall pleasant shopping experience keeps customers happy–and loyal. These are great reasons for retailers and suppliers to smile. A Direct Store Delivery (DSD) rep is much more than a driver. A Direct Store Delivery (DSD) representative does not simply drive boxes from one location to another. This person’s job supports a company’s merchandising, marketing, accounting, customer service, and yes, delivery efforts. Even before leaving the warehouse, he or she has series of responsibilities. Each day, they are required to undergo a vehicle safety check process, review orders and retrieve inventory, stack boxes onto a hand cart, then load them into the truck. Then, to ensure they fill all the orders in a timely manner, they must determine a route plan based on customer demand-driven urgency as well as a geographically efficient stop sequence. Once at the store, the rep doesn’t simply drop packages at the door. If, for example, the product is in the food and beverage category, he or she sets cans on the shelf, slides milk cartons into the refrigerator or places boxes of popsicles in the freezer, in an orderly and visually appealing manner. They also remove any damaged product, rotate cans or cartons so the oldest items face front. When applicable, the check the case temperatures, troubleshoot if possible, and report repairs if necessary. The delivery rep is the one who hangs new marketing materials, and removes any outdated ones. They also collect payment for items delivered, and must make sure electronic transactions and cash payments reach the accounting department. Store Layout: Unlike a delivery system in which the store employees decide how to set up a display, with DSD a supplier strategizes how to adapt to a store configuration, and maximize the effectiveness of merchandising and promotional signage. When there are varying layouts, a display case with strong visibility in one store may be crowded into a corner at another shop. However, since the delivery rep visits the store regularly, he or she can have more control over product placement. Further, delivery reps may also be responsible for gathering competitive intelligence on merchandising, pricing, and promotions from the retailer. All of these in-store responsibilities entail a great deal of interaction with store managers and other employees. This means a delivery rep serves as the face of the company, and their interpersonal skills could influence relationships between the supplier and retailer. After a long day of wearing all of these hats, back at the warehouse, they count the remaining truck inventory to reconcile the number of items delivered. It can be exhausting just thinking about all of the running around, dealing with traffic, moving heavy items, safety checks, and meeting schedules—all with a smile on the face. Yes, the DSD rep does so much more for a company than deliver goods. DSD can be a retailer’s dream. Direct Store Delivery (DSD) is such a treat for many retailers. Delivery reps take on a lot of the work, replenishment can happen on the spot, payment terms never hold up the sales process, and they provide a personal link to the supplier. A supplier’s DSD rep takes care of a lot of the work that retailers would otherwise have to shell out hourly wages for employees to handle. These retail workers only have to rotate stock, face shelves, maintain displays, and keep promotional signage for products provided by suppliers not using DSD. Although many stores choose to pay on the spot, with DSD, retailers can receive new product now and get billed later. Shelves can even be replenished several times before payment is due, which keeps the cash flowing. DSD products are often impulse buy items, so they easily fly off the shelves—especially when displayed with promotional signage. Stores can alert the supplier’s rep to bring an extra case of soda, for example, or make an unscheduled delivery if stock is unusually low. Since reps make frequent stops at a location, they have an opportunity to connect with the store and its employees, and have a better sense of customer needs. This personal interaction between delivery rep and store manager is also a valuable link in strengthening the business relationship. Direct Store Delivery (DSD) is the process of getting goods into retail stores by delivery reps that regularly fill shelves with their products, take payments, and manage merchandising. This method of distribution benefits both the supplier and the retailer, who are essentially partners whose efforts support each other’s growth. The store and distributor relationship is especially key as we businesses look to accommodate shopper preferences and adapt to retail models. 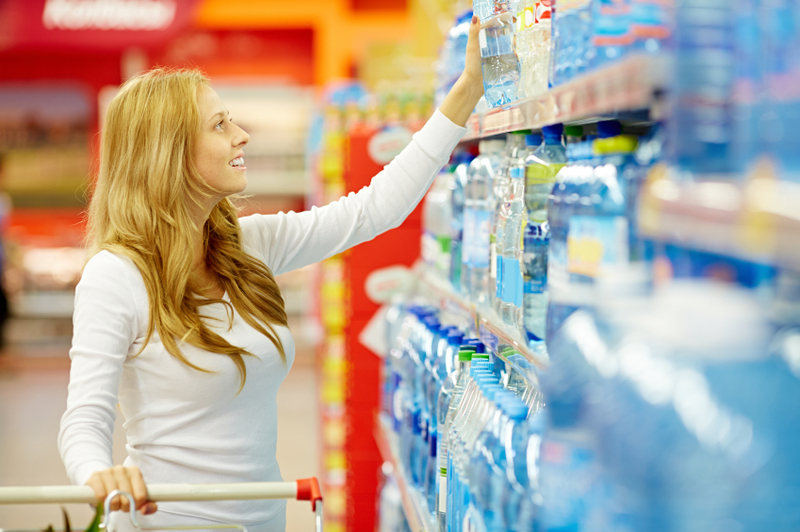 Suppliers using DSD make frequent visits to stores to keep shelves full. This allows both suppliers and retailers to cater to individual store needs, accommodate new requests and deliver the freshest items available—especially those with quick expiration dates such as bread or produce. Retailers like this because when they keep the products customers demand stocked, shoppers know they can count on their store to have the item they regularly purchase. That means repeat customers. Translation—more cash for both the retailer and the supplier. DSD has become so established that stores and suppliers now often hold meetings to discuss ways to create joint-value. There, they discuss sales goals, evaluate the success of promotions, and share any shifts in shopper behavior patterns. Consumer habits reviewed may include the days of the week on which people shop, which may influence the choice to shift the delivery schedule. These partners also collaborate on the collection of point-of-sale data and other information through GS1 Trade Partner Performance Measures (TPPM). In addition, periodically, delivery reps may present customer “scorecards” to show how they rank in terms of sales and promotion performance.